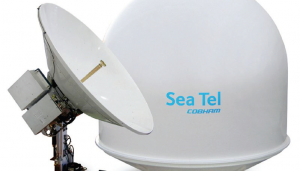 We have a Seatel 6009 VSAT including 2 x Comtech 16 W BUC SSPA, SMW Quad Band LNB, DAC, 2 x STM 2900 VSAT Modem, Comtech Stampede Accelerator, 2 x Comtech Modem, Cisco 2911 Router, Cisco 2960 Switch, Cisco ASA Firewall, APC UPS, 12u Data Cabinet to include power strip for sale. The item is 3 years old and fully serviced. Fully crated and ready for immediate shipping. Please contact our office on +44 (0)1887822882 or email info@tecoffshore.com for further details.